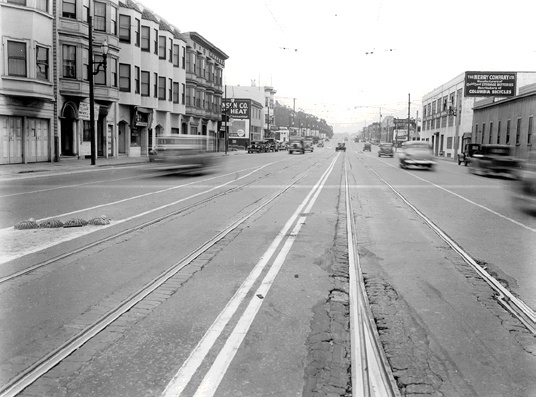 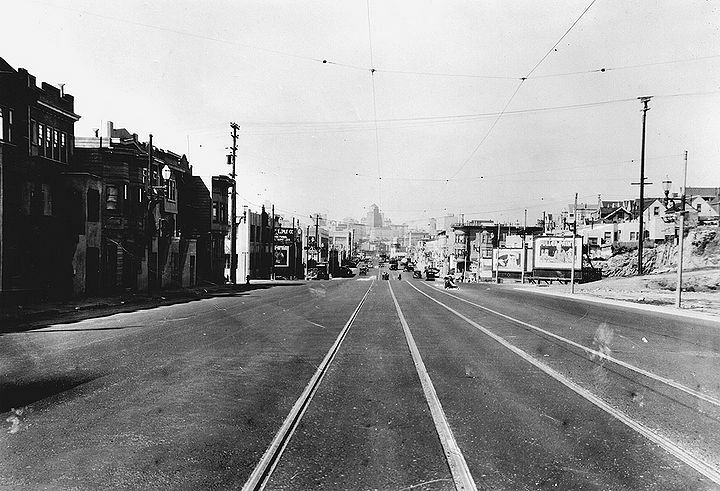 Potrero Avenue north from 19th Street (formerly US Highway 101, and H-line streetcar) on April 12, 1935. 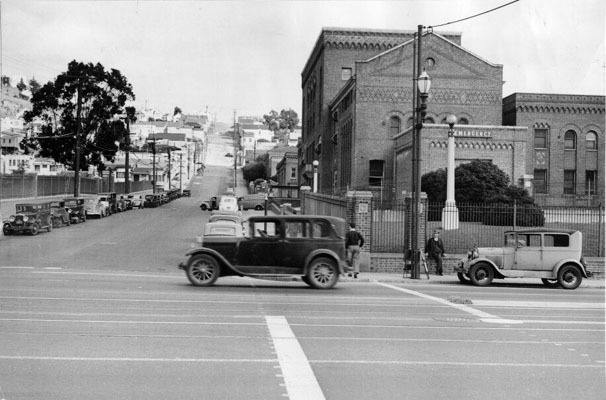 Potrero Avenue looking east towards Potrero Hill on 22nd Street, with General Hospital to right, 1940. 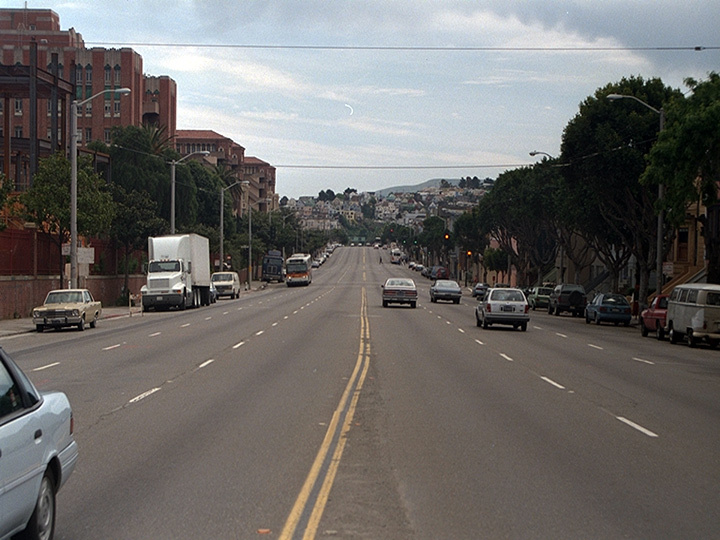 Potrero Avenue south from 21st Street, 1996. 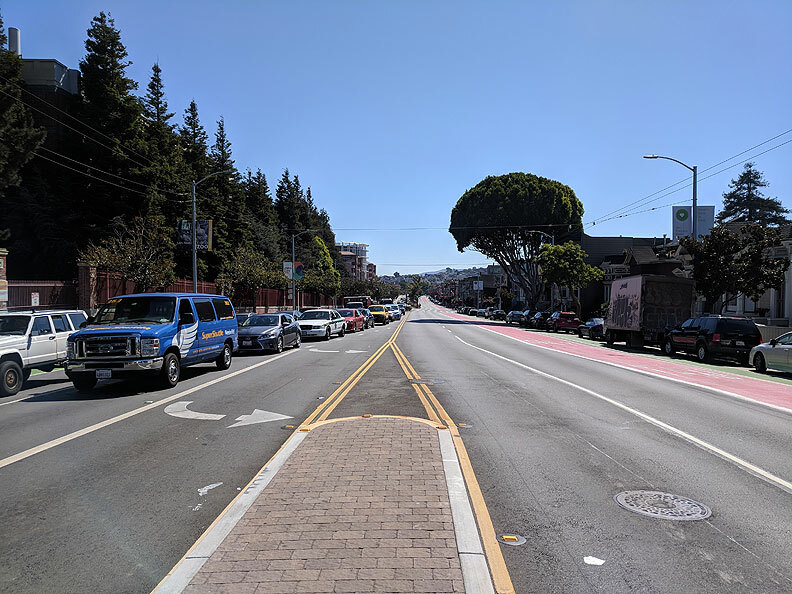 Potrero Avenue south from 21st Street, 2018.